Bertolt's Titan form is unusually big, approaching nearly 50 meters. Was there any particular reason given for why it is so large in comparison to the rest? The humans become Titans through the use of an injected medicine, and the Titan form they take is due to the type of medicine injected. Therefore, it can be deduced Bertolt Hoover got an injection that gave him the gigantic form. Case evidence is Rod Reiss, who became a Titan that is even bigger than Bertolt after he licked the spilled injection that he was trying to give to Historia. 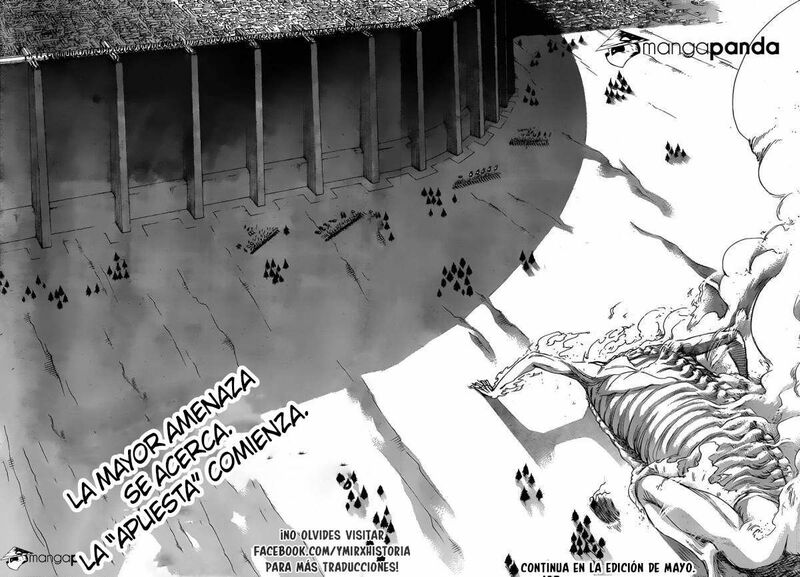 Compared to the wall, you can see that Rod Reiss became even bigger than Bertolt's Titan form. We also have Eren as case evidence, who originally was incapable of hardening, but gained that ability after drinking a bottle that had the word "Armour" on it. The bottle was from Rod Reiss's bag that contained several vials of injection that could make a human a Titan Shifter and even all had labels so it therefore can be said that the Titan form a person takes is based on the type of Medicine and it can even be augmented by consuming other types of Medicine. If the Beast titan has similar powers to the founding titan, why do they need it so desperately? For how long can a titan shifter can be in his titan form?